License plate readers aren’t just crucial to security, they’re a valuable asset for law enforcement worldwide. Automatic license plate readers are often seen affixed to police cruisers, attached to road signs, or are present at security checkpoints like those within secure parking facilities or at border stops. While the technology is still relatively new, it is becoming an increasingly popular way for security professionals to ascertain the details of a license plate and keep a searchable database built on that information. It’s also taken advantage of by law enforcement around the world. Let’s take a look at how license plate readers have aided in reshaping policing around the world. Traditionally, law enforcement has relied on simple pen and paper to run license plates. 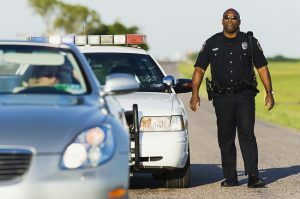 If someone is pulled over, the officer is able to write down the license plate and run it against a database to see if the person has any warrants out for their arrest. From the outset, one can see the flaws in this system—an officer may get the wrong plate number, keeping a database of searched plates for records can be difficult, and it’s just plain slow. Automatic license plate readers speed this process up and create numerous efficiencies. Imagine an instance where police put out a broadcast informing their officers to be on the lookout for a person of interest—in the United States, this may be called an all-points bulletin or APB. In some cases, that APB may even be shared with the public, like an AMBER alert. Even in that instance, your best bet is someone seeing something and saying something. Taking advantage of automatic license plate readers reduces this reliance on flawed human perception and makes it much more likely that an alert is sent out to law enforcement, provided that the license plate number of the person of interest is already known. As beneficial as a standard license plate reading system may be, that doesn’t mean there isn’t room for improvement. Take our Intelligent License Plate Recognition system. Not only is it capable of the standard plate-reading functionality, it can also keep track of things like plate color, state of issuance, or country of origin. Creating better systems that function in extreme weather is also a goal, something the ILPR excels at. Developing better license plate reading systems means increased functionality and reliability, something that in the case of use by law enforcement is an absolute necessity. This entry was posted on Friday, June 8th, 2018 at 9:53 am. Both comments and pings are currently closed.